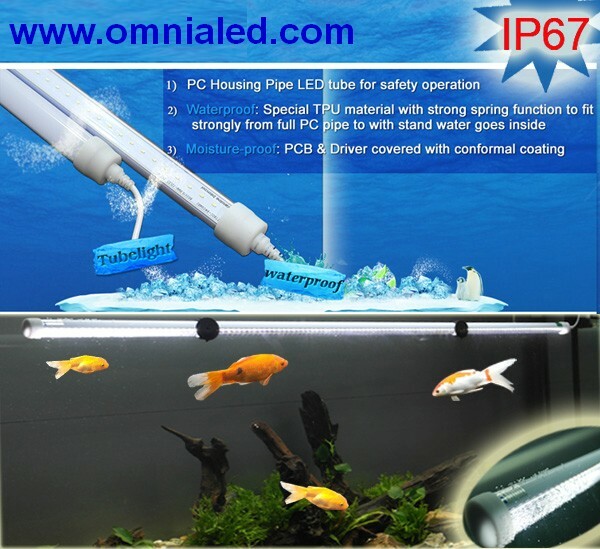 Blue Led Tube, Low Voltage 12V 24 Vac and Immersion IP67 Waterproof Vdc, Interior or Exterior, Ideal For Gardens, Terraces, Pools, Fountains, Boats, Camper or to Paint Bridges or Buildings, in Technopolymer. Power supply from 12 volt to 24 Volt is continuous and Alternate, length 60 cm including cable gland, diameter 3 cm., 9W consumption, minimum 60 LED 2835 green chips, weight 200 gr approx. 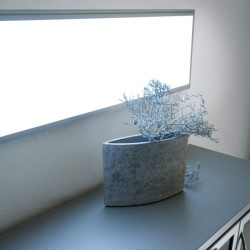 - Advantages: - NOT REQUIRED PLAFONIERA, connects directly to 12V / 24V. Immediate Ignition without 100% Flickering - Low Heat Lamp (Suitable for Fridge Cells and Fridge Banks) Temperature Range -30 + 50 ° - Price depends on quantity. - For large quantities> 100 pcs request quotation at info@omnialed.com. Delivery time 15-20 days ca.